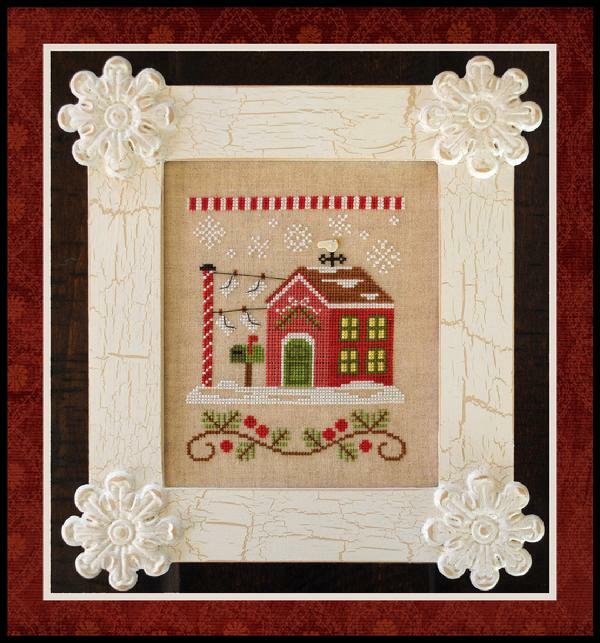 From Country Cottage, this series of 12 houses can be stitched individually (4 1/2" x 5 1/2")or together on one piece of fabric. 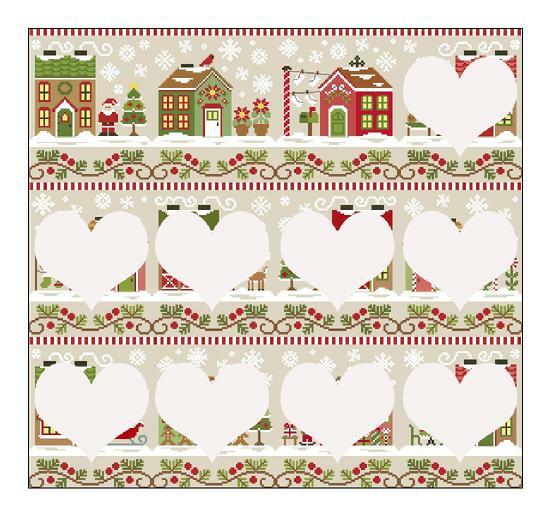 One house will be released each month and the button from Just Another Button Company is optional. Call us today to sign up to be on automatic so you don't miss any part of Santa's Village!